The topic of how to organize a bookshelf has been a constant debate in my house. I’m a visual person and love my books organized by color, but my husband is an academic and needs his books organized alphabetically by author for easy reference. 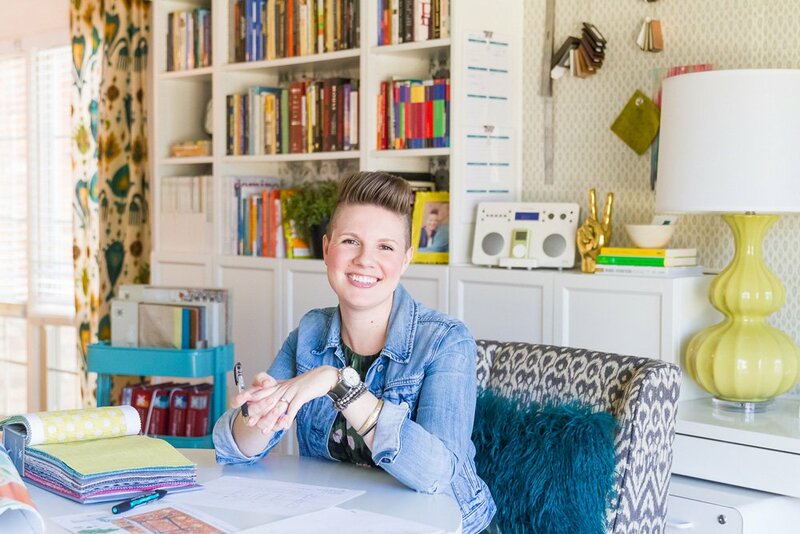 Our books have lived “together” for a while in my office – let’s just say in our next house, I’m ready to break up our books so I can organize my books my way! 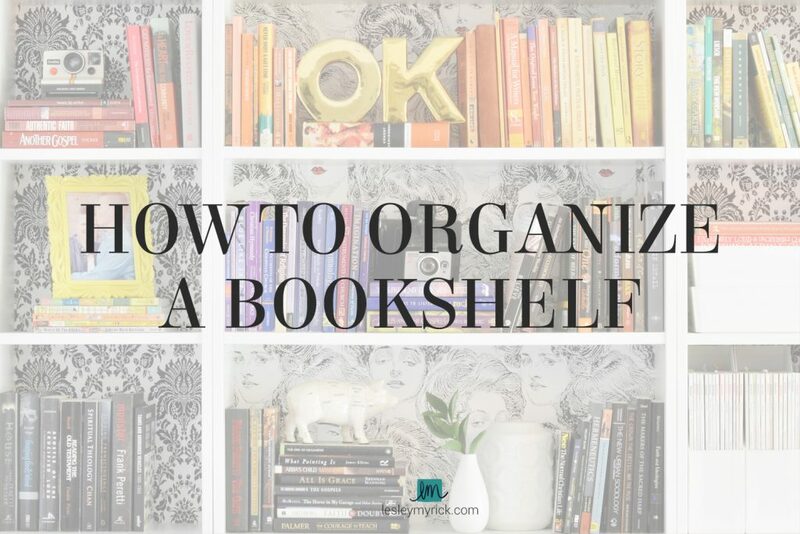 There’s more to organizing a bookshelf than just deciding what order your books should be in, though. Creating a bookshelf that’s visually appealing requires attention to styling, and there are a few things to consider when arranging and organzing a bookshelf. Create both vertical and horizontal stacks. Don’t be afraid to lay some books down to break up the monotony of rows upon rows of vertical books. These horizontal stacks can serve as a platform to display a bowl, vase, or decorative object. 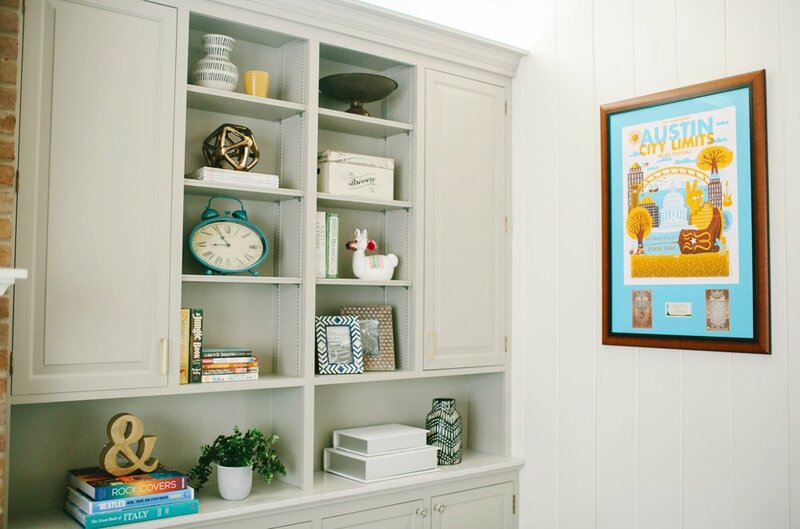 Bookshelves and built-ins are an awesome way to display collected treasures and cool accent pieces. Add a small potted plant; display a funky ceramic llama (because why not?) or include an antique silver bowl handed down from your grandmother. Adding accessories makes a bookshelf much more personal and engaging. Leave breathing room between books. It’s okay to leave some space – leaving room to grow your book collection is a good thing! It also creates a pretty pleasing arrangement. If you have too much open space, use a cool accessory or decorative box to keep things visually flowing. Add photos and art for a personal touch. Have fun with the bookcase backs. Surprise! That otherwise boring back of a bookshelf can become an awesome statement with a bright coat of paint or pretty wallpaper. 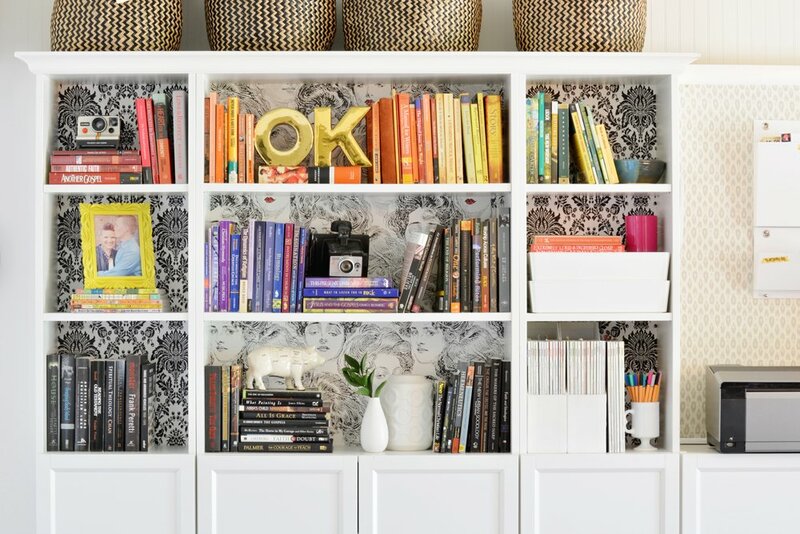 A white bookshelf totally pops when the back is painted lime green, or you could install some funky graphic black and white wallpapers as I did in my own home office. A bookshelf doesn’t have to be a cluttered eyesore bursting with disorganized books. In fact, with a little organization and a few accessories, a beautiful bookshelf is just an afternoon project away. 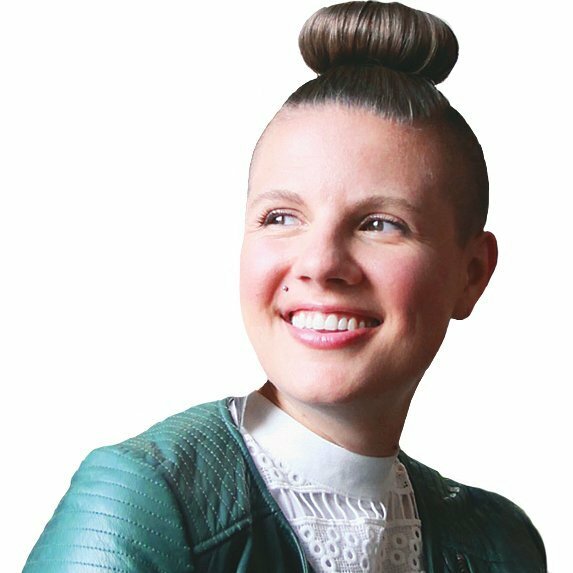 Take our fun quiz to discover your true design style – and get a personalized, shoppable style board curated by Lesley to help create a kickass home you love.